Why are Massachusetts Voters so Stupid? I ask myself that question everyday. Of course, in full disclosure, I am a Massachusetts voter, so I must be lumped in with the stupid masses. Its sometimes embarrassing, as my home state is the laughingstock of the country (maybe tied with California, I mean they did elect Jerry Brown). Elizabeth Warren, Democratic Senate Candidate, lied about her Native American heritage to get a job at Harvard. She used minority hiring practices to her advantage to get ahead in life. However, in a recent poll, about half of Massachusetts Voters still would vote for her. Most of the members of the Massachusetts House and Senate see not problem with EBT cash abuse, and refuse to outlaw the use of EBT cards to get cash access. They would prefer to increase the size of government and develop a commission to study the EBT system, while everyday, criminals are cashing out there EBT benefits for drugs, booze and guns. Who votes these legislators in? Yes, the voters of MA. Locally, in certain communities the voters of the Commonwealth pass such laws as the banning of plastic water bottles and the banning of leaf blowers. I cant even comprehend how stupid those decisions are. So, there is indisputable evidence that the majority of voters are stupid, or at least make stupid voting decisions However, one could say that I am the stupid one for choosing to raise a family in this moonbat state? I got my EBT card- I got my Bail? "Welcome to the Commonwealth, here is your EBT card. fell free to use it on liquor, cigarettes, electronics, guns, lap dances, and bail." That's right, in Massachusetts use your EBT card for anything program, a convicted criminal tried to use his for bail. Also, at the time of booking, Clark had $758 cash on his person. Its nice to know that card carrying EBT members have a little walking around cash on them. 1. No more EBT cards, we go back to food stamps immediately. Its not going to be easy to be on the state dole. There should be a bit of uncomfort being on public aid, its not a lifestyle. Oh yeah, and food stamps can be used to buy pastas, whole grains, fruits, vegetables, lean meats, and government cheese. If you want Entenmann's and Twinkies and Mountain Dew, then get a job and buy it yourself, like the people who work do. 2. Food Stamps cannot be exchanged for cash. 3. If you commit a crime, you lose all privileges. 4. Like unemployment benefits, food stamp benefits will have a time limit. 5. While on state aid, you lose the right to vote. if you want to be able to vote then pay your own way! There is a severe conflict of interest if you are living on the back of the taxpayers, because you are obviously going to vote for the candidates who want to give you "free stuff"
There it is Governor Patrick,let's sign it into law. Remember when Massachusetts Attorney General uttered the phrase, ""Technically it's not illegal to be illegal in Massachusetts," when speaking to WHDH radio in 2010. Well she couldn't be more right, and also if you are illegal, you can pretty much do anything you want in the Commonwealth, without repercussion, especially if you are related to the Chosen One, President Obama. Mr. Onyango Obama, an uncle of President Obama has been illegally living in the United States, since 1992, when he was ordered deported. So, the fact is that he has been a criminal immigrant for twenty years. Recently Onyango copped a plea in a drunk driving case where he smashed into the back of a police cruiser while drunk. So, what happens to you if you are here illegally, and have a license illegally, because you are not even supposed to be here? Well if you are Uncle Obama, you lose the license, that you shouldn't have to begin with for a whopping 45 days. But wait, it gets better. A week after surrendering the license he shouldn't have to begin with, the Massachusetts RMV granted him a hardship license. Onyango went to the Wilmington branch of the RMV and was able to successfully convince a hearing officer that while living in a country where he is not legally allowed, and having a suspended driver's license that he is not illegally allowed to have, it would put an undue hardship on him to go to his job,that he is not legally allowed to have, at get this, Conti's Liquor Store. So, according to the hardship license, he is now allowed to drive from noon-midnight, even though he illegal license is suspended. RMV spokeswoman Sara Lavoie stated that, "He met all of the criteria.” That is the brainpower of the Commonwealth! Don't worry, however, as Onyango has been ordered to an ICE office next week to discuss his deportation. Yeah right, he will be deported just like the President's Aunt Zeituni Onyango was deported when she was ordered to, twice. No, she is still living the high life in public housing and receiving disability on the taxpayers of the Commonwealth. So, here is a message to all you criminal immigrants - Come to Massachusetts, receive public assistance and break the law as it suits you, don't worry, the taxpayers will pick up the tab! By now, I am sure that you have heard of the tragic hate crime that took place in February. The one where two black men allegedly poured gasoline on a 13 year old white boy and lit him on fire. Oh, you haven't heard that yet? I wonder why? Is that because the racist media will only push stories that forward their agenda. I am sure you have heard about the Trayvon Martin case, which is tragedy, because a young boy is dead. However, the liberal media is pushing this as a racist crime. Why, because George Zimmerman's skin is lighter than Trayvon Martin? The only person that knows if the death of Trayvon Martin was racially motivated is George Zimmerman. However, in February, the same month as the Martin death, an alleged hate crime took place in Kansas City. A 13 year old boy was walking home from school, when he was allegedly approached by two older teens, who held him down, doused him in gasoline, and lit him on fire. The assailants were described to the police as black teens. Further reports state that one of the suspects said, "You get what you deserve, white boy." Now obviously, these are allegations and are yet to be proven true, but it has the appearance of a hate crime and I haven't heard one thing about it from MSNBC, CNBC, Racheal Maddow, Chris Matthews, etc. I have not heard the President state, "If I had a son, he would look like the alleged assailant." Now I realize that these specific cases are not the same, as one ended in the death of a child. However, the point is that the media and apparently the President will use race issues for political gain. Not to mention the Al Sharptons and Jesse Jacksons of the world who are simply race baiters. I agree that there are certainly race issues in this country, but the issues are on an individual basis and not rooted in society, as the liberal media would like for you to believe. Free Stuff or Hard Work? A great moment by Romney basically summed up what the 2012 Presidential election as all about - The handouts vs.the hard workers. President Obama has created an attitude of entitlements and freebies. On the other hand, Governor Romney believes in hard work and merit. Judging by his statement, he won't give you things for free, but hopefully he can create jobs, which the President hasn't, so people who choose to work can earn money to buy things they need and want. So, let's just hope in 2012 there are more hardworking voters than freeloading ones. Sorry Lucky, you are not wanted in Wilbrham! Governor Patrick hates Christmas and all things Christian, Certain Newton schools do not like candy at Valentine's Day, and now school administrators in Wilbraham are anti-St. Patrick's Day. But not to worry, they are encouraging the students to celebrate O'Green Day at school tomorrow. As far as I know, I have not a drop of Irish ancestry in me, but I love St. Patrick's Day. The food, parades, basketball tournament, and of course the Jameson and Guinness. its more of an American holiday as opposed to an Irish holiday, so why the worry about political correctness. Probably because many liberal lefties in Western Massachussets do not even like America in my opinion. The Soule School is apparently worried about its political correctness and is therefore celebrating O'Green Day to get in the spirit of the holidays. The station reports the school principal, Lisa Curtin, reportedly made the move to be “inclusive and diverse” and ease any discomfort that may go along with celebrating St. Patrick’s Day. A similar renaming was done on St. Valentine's Day, also out of consideration of what are termed "faith issues," abc40 reports. President's Day - This should be banned in the Commonwealth because George W. Bush was a President. And of course it is his fault that we have $4 a gallon gas prices and 9% unemployment. Since he was a President, then obviously President's Day shouldn't be celebrated. July 4th - We should have this banned because it is obviously insensitive to those who do not know how to count. how are they supposed to even know what day to celebrate on? Its simply not a fair holiday for all. Labor Day - How many people actually work in Massachusetts? Because the state like to set up so many people in "free" housing and EBT cards, only the people who work would actually celebrate Labor Day. Therefore a holiday named labor Day is insensitive who those who sit at home and live off the system. Well, I guess they do have to work to go get their EBT card reloaded. The liberal elitist Hollywood types such as Brad, Angelina and George Clooney will usually jump at the chance to humanitarian efforts and help those in need. Well, they will usually help those in Haiti, Japan, and other foreign countries. But will they help Americans in need? That remains to be seen. The central and Southern regions of our country have been devastated by tornadoes this week, leaving a path of death and destruction. 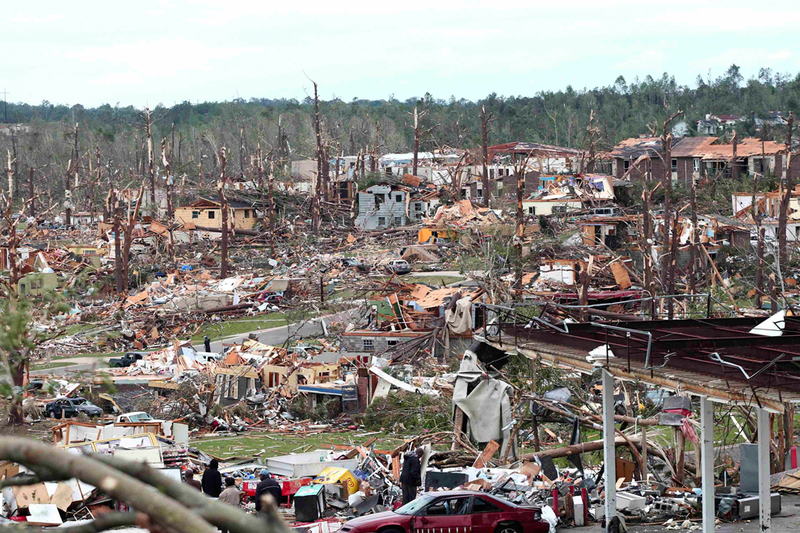 Many Americans are facing a long recovery process from these natural disasters. They need help. They need money, medical care, and other support as they try and rebuild their lives in the wake of unthinkable despair. Who is going to stand up and help these people? Will you Mr. President? Will you give them as much money as you give to foreign countries in need of aid. Will you Mr. Kayne West? Or do you only have benefit concerts for Haiti and other countries to boost your international image? Will there be TV commercials giving people a number to text $10 to help Americans in need? I do not know the answer to these questions, but I plan to send a donation, and I hope others will as well. I do not expect the elitist Hollywood left to care because after all, these are Americans in need, and not Haitians. By Brad and Angelina (or their Hollywood colleagues) raising money for Americans, their international image may take a hit, and that would be devastating. I am a husband, father, Proud American Citizen, and apparently now a blogger. I decided to write this blog mainly about politics and my minority view in the Commonwealth of Massachusetts. But I am sure I will also discuss my family, cooking, and other interests.